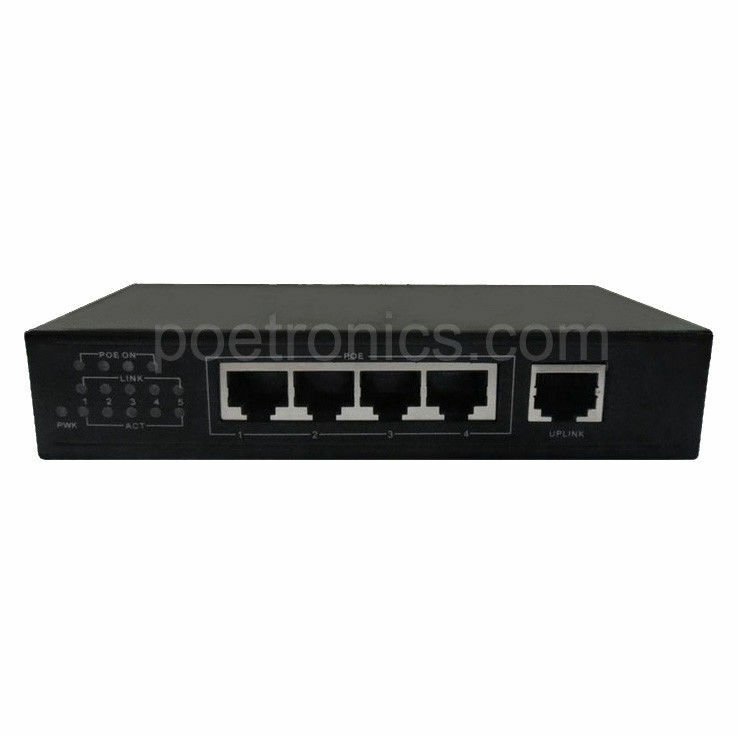 POE-S104FG, 4 Port Gigabit PoE Switch, it reduces much cost of equipment and installation by delivering data and power over existing Ethernet cables. This 4 Port unmanaged Power Over Ethernet Switch has four Gigabit PoE interfaces which supply 15.4 watts power every single port for connected devices like IP Network CCTV Camera, Wireless Access Point (AP), VoIP Phone systems, etc. POE-S104FG is rack mountable POE Switch and is powered by external 60W power supply. Base on Auto sensing technology, which allows it delivers 15.4 watts power to IEEE802.3af compatible PoE-enabled devices. What's more important, in an office, It improves work efficiency, reduces workshop network congestion with 10Gbps switch capacity and saves around 15% energy consumption when the 4 Port POE Switch is in Idle status. Finally, there are LED lights indicates the status of connected devices which will highly improve the troubleshooting effieiency. In addition, solid metal case fit to this Four channels Power Over Ethernet Switch makes it a perfect intelligent power equipment. PoE Power: Pin 1,2 "+"; Pin 3,6 "-"